Cleantech San Diego is a supporting organization of Microgrid 2019. Cleantech San Diego members receive 15% off registration with discount code CleantechSDVIP. Come to the biggest microgrid event of 2019, and meet the prospects, players, and movers in the distributed energy industry. 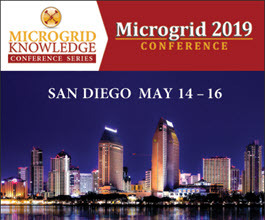 Hosted by the editors of Microgrid Knowledge — the leading publication on microgrids — Microgrid 2019: Shaping the New Electric Grid, will introduce you to important players and educate you about key trends and market opportunities. Meet the prospects, players, and movers in the distributed energy industry.